These beautiful silks, each with different characters depicted on them, but without their heads! This way, either you or your audience assistants can hold up the silks and finish the pictures with their faces! Lots of fun for kids and adults, with audience participation and many comedy possibilities. 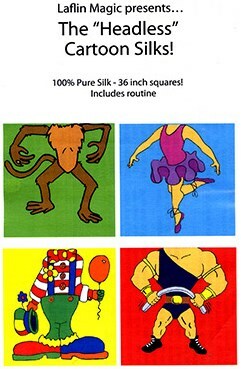 Includes four beautiful, 36-inch, 100% pure silks with routine ideas.